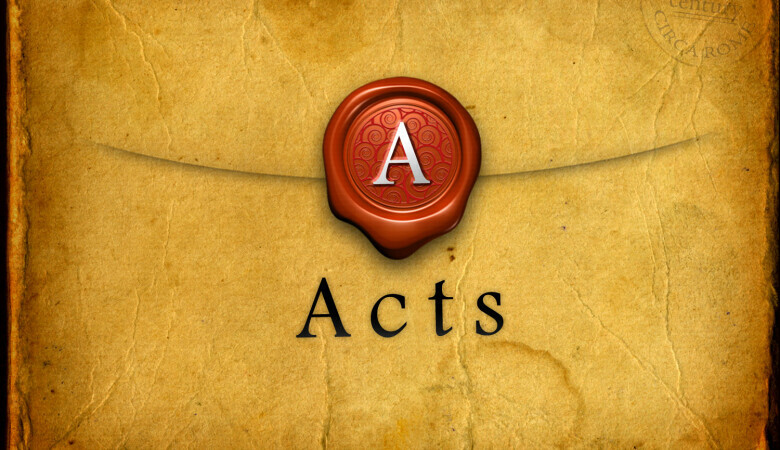 Turn with me in Bibles if you will to Acts chapter 2, we are continuing our way through the book of Acts this morning. Looking at what the early church looked like and what it was that they gave themselves to. We're just going to be looking at verse 42 this morning. We looked last week at the devotion that the church made to the apostles teaching to the Apostolic word. And so I just want to remind you of this. If you would look with me Acts chapter 2:42. We'll just read this verse just to remind ourselves one more time what we are talking about and then we'll pray and we will ask God to help us as we get to work. Acts chapter 2: 42, “They devoted themselves," they gave themselves, they set themselves to the task, “of learning the apostles teaching and fellowship to the breaking of bread and the prayers. Awe came upon every soul and many wonders and signs we being done through the apostles. And all who believed were together" notice this, "All who believed were together and they had all things in common and they were selling their possessions and belongings and distributing the proceeds to all as any had need, and day by day attending the temple together and breaking bread in their homes, they received their food with glad and generous hearts. Praising God and having favor with all the people and The Lord added to their number day by day those who were being saved." Let's bow for a word. Father we come to You now and this is Your Word to Your People, this is Your Word to our church. Father we pray the example of the first church, born in Jerusalem by Your Word by Your Son would be instructive for us today in terms of how we are to commit ourselves as a church, the activities to which we need to attend, Father we pray that this look at the early church and what it was that they focused one would inspire us as we consider our focus today Lord. With so many things happening all around us in the world with different elections and different wars and with just all of the unrest Lord there are so many opportunities for your people to be distracted and I just pray Father that You by Your Spirit through This Word this morning would call our attention back to You to a focus upon You to a care for each other, a commitment to The Word and to be a church of prayer. We ask that you do this morning by Your Spirit through Your Word we pray these things in Christ's name~ Amen." A number of years ago when train travel was still a thing a couple of engineers and a couple of accountants were going to a conference together on better business practices. And so the accountants pulled up to the ticket window there to buy tickets for themselves and they got out their purses and they counted out the exact amount of money and the exact amount of change. They did as accountants are prone to do, they had it all mapped out, they counted out précis details down to the exact penny, exactly how much money they would need. The engineers however took a different approach they asked the clerk at the window, If you would be so kind as to allow them onto the train for just a bit in order to take some measurements. And so they got onto the train with their tape measures and they went to the bathroom and they measured and they hmmed and they hawed and they figured and they did their engineering thing. They took down some numbers and they made some calculations they went back to the teller and they said, “thank-you Sir. We'd like to buy one ticket for the 3 of us." The teller was a bit taken back by this so he handed them the ticket, took the money. The engineers got on the train, the accountants got on the train. The accountants looked at the engineers and said, "You know the conductors going to come down here in just a bit and ask for tickets and there's three of you but only one ticket. Which you're all holding together in common as one." They said, "Oh it will be all right, we’ve figured it out." So the accountants kind a looked at each other and they chuckled and they said, "Oh okay we're going to see what's going to happen here." And before to long as the train started to take off from the station, the 3 engineers crammed themselves into the washroom on the train and closed the door. And the accountants watched all of this and said, "Huh, well that's a nice trick " and the conductor came down the aisle and began taking the tickets from everyone stamping the tickets and handing it back and the accountants watched and the conductor went up to the bathroom door, knocked on the door and the door opened just a crack and one little hand reached out with one ticket The conductor took it, stamped it, handed it back and the door closed. And on the conductor went. The accountants said, "Man! What a great way to do it! that is impressive." So they attended their conference on better business practices and as they're coming back, as their coming back on the return train, the accountants said, "We think we can fit three of us into a bathroom too.” So they bought one ticket for the three accountants and they got on the train. The engineers got together and did some whispering and some figuring and they said, “we think we can do it with no ticket." And the accountants said, " How in the world are you going to pull that off?! No ticket for any of you?" They said, "Just watch and see." And so they got onto the train and the three accountants went into one bathroom, with their one ticket and the three engineers went into another bathroom with no ticket. And as the train began to pull away from the station. The engineer’s bathroom door opened, and the engineer came out, went over to the accountants bathroom door knocked and said ticket please and the accountant cracked the door and held out one ticket. And the engineer took it and closed the door and went back to his own bathroom with the ticket in hand. Impressive stuff, impressive stuff. The reason I started off with that rather lame joke this morning is because this idea that these three men would hold something in common together as one even though there are three of them is the idea of fellowship. When we use this idea fellowship often times we are talking about a potluck or some sort of a gathering that's going to happen here at the church, where we are all going to get together, we’re going to eat, we're going to laugh, we are going to tell better jokes than what the preacher tells, we're committed to it as a church and ultimately at the end of the day after we've laughed, after we’ve laughed better than we did in the worship service, we're going to go home and that's going to be the end of it. When we say fellowship, we almost invariable are referring to a social interaction that we are having with each other but what I'd like to open your eyes to this morning is that while it is social, it goes far beyond friendly interaction. The idea of fellowship is the idea of holding something in common and we're not talking about simply being friends with each other, it is much more than that, but when I say that you need to make sure you hear me carefully. It is more than simply being friends with each other but it is not less. Hear me carefully when we use this idea of Christian fellowship it is far more than simply being friends with each other but it is not less. Look with me Acts chapter 2 verse 42. The verb there that is followed by all the other activities is they devoted themselves to it, depending on your translation it could say they gave themselves continuously, or they were committed steadfastly, or they consecrated themselves to it, the idea here is that there were a number of activities which once they heard the Gospel, the preaching of Christ as King crucified for their sins with the opportunity of forgiveness and redemption through repentance and hoping in Jesus as their Saviour they are now followed a desire in their hearts to commit themselves to certain activities. Luke records this for us in Acts chapter 2 verse 42 it says they devoted themselves or they consecrated themselves, they gave themselves, number 1 to the apostles teaching, they gave themselves to a continuous diet of the preaching of Christ, to the preaching of His Word. They gave themselves to that number 1, number two it says they gave themselves to the fellowship which we're going to come back to. Number 3, they gave themselves to the breaking of bread and we're going to look at this next week it could be a reference obviously to communion it also could be a reference to the fact that they simply ate their meals together. This is not necessarily as distinctive an event as what we make it today often times the early church would celebrate communion as a part of a fellowship meal, whereas today we don't always put the two hand and hand together. But they gave themselves to the breaking of bread and then it says they also gave themselves to prayers. They consecrated themselves to those activities coming back to this word fellowship. When I say fellowship you read it almost invariably, you're thinking potluck, your thinking soup, your thinking sandwiches, you’re thinking devilled eggs. Your thinking about that thing when we get together and we are friends with each other. The word means 'common' it is obviously a reference to friendship but it doesn't necessarily mean friendship. Fellowship goes beyond the idea of friendship in the sense that we're not simply friendly with each other there is something which we have in common with each other. There's a huge difference there. One says you make me happy and I want to make you happy, the other says you know good husbands do this; therefore I ought to do this. But you ask any wife who's on the receiving end and you ask any husband, same applies for husbands here as well from their wives, you ask any husband or any wife who's on the receiving end of the first part where it's done simply as obligation. Any husband who sits down to dinner and the wife just comes out with the plate of food and just like chuck's it down and is like, " there you go did my job ~latter!" you know it's like well yah I'm going to eat it, it's food it's delicious but I would of rathered she would have came in and was more nice about it and that she actually enjoyed me and that we would sit down and have company and that we would share together. The same is true here. When Acts 2: 42 says that they gave themselves to the apostles teaching and to the fellowship, they gave themselves to the apostles teaching and to a common life. How do you live life together as a church if you're not doing it from a desire to seek your joy in the joy of those around you? Church is one of those places where people from all walks of life from every type of back ground, from every type of culture come together. We all have a lot of different ideas about things. You try and put a group of people together and live life in a close proximity to each other and guess what's going to happen? ; Friction. It will happen every time, it happens in every church don't care what church, you've been a part of, which church you've grown up in or even this church, every church, any church will experience friction, will experience tension as a result of relationship, as a result of people living in close proximity to each other. How do we live in a way that loves each other, beyond those moments of friction? How do we share life together in a way that Christ is glorified if we do so, simply from obligation and not from the possibility of love. What I'm telling you this morning is if you would devote yourself to the fellowship to the common life of the church, you need to do so with the expectation that when you make friends with people they're going to make you happy and if you enter into these conversations, this fellowship you gather around the potluck meal that we're about to have downstairs in a few minutes and you think, "I'm just here because the pastor just preached a sermon on fellowship and I know he's watching so I got to show up for this thing," Don't be surprised if you go home feeling like you may have just wasted the last hour of your life but whew I'm so glad that that is over! and don't be surprised if you go to bed tonight night thinking, “oh I wonder when the next time we're going to have one of these silly fellowship and I'm going to have to go to these things to fulfill my Christian obligation.” You see it becomes a burden but now you sit down to dinner with a man and you say you know what God has redeemed this person, God has saved his soul and he is different than me, with different experiences and he's unique and he's loved by God so there's something wonderful about him. Could I enter into this conversation that I would be surprised with happiness at what this man might share with me? You enter into a conversation like that, you enter into a meal like that and don't be surprised that you're still talking when myself and Pastor Ryan start stacking chairs and cleaning off tables. Don't be surprised at the conclusion if you enter into it with a heart that says, I will be blessed, I will find joy I will find happiness in this room, this afternoon, eating a meal with these people don't be surprised if it seems to end quickly. Don't be surprised if it seems to just flown right by and all of the sudden their ushering you out and flipping off the lights and telling you it's time to go home and you're wondering where the time went, and you're wondering when can I come back again? One of those individuals understands the fellowship, and another one of those individuals does not. Now as we enter into fellowship, I just want to give you a few suggestions for doing it well, that all pertain to listening. Fellowship is not, 'Hey how’s it going let's talk about the weather, did you notice that The Minnesota Vikings lost last night?" That's for my friend Ryan. You know we can talk about those things and we do Ryan will tell you, but it's more than that. It's about hearing each other's hearts, sure we can trade about the weather, we can trade about what's going on with city council, the Santa Claus parade that was held yesterday, the fact that The Vikings aren't doing so well this year (although you might rather we not talk about those things) but there's more to discuss if we would hear each other’s hearts and if we would find that happiness which is promised to us in The Scriptures, we have to be good listeners. Good listing number 1 is an act of love, it's a kind of listening that happens, there’s a kind of listening that can often times happen with only half an ear where you presume already to know the answer to the question that you've asked as the person begins to speak and therefore you're not really thinking about what the person is saying your thinking already about the answer you're going to give. So many of us we enter into a conversation and we say this has to be a smooth flowing conversation with no awkward pauses or silences and so we enter into those conversations and we think as the person speaking, "Oh what am I going to say to this" and we're not actually listening we're just thinking about what we are going to say in response. Now that's me to a T always, I want to be quick, I want to be witty, I want to be funny I want the conversation to go smooth and flow and often I miss the point. So good listening has to slow down and it has to listen instead of thinking about what you're going to say in response, just listen. Number 2 you have to be a good listener because good listing is an act of love. Half hearted listening doesn't truly care for the person who's talking. Half hearted listening just wants to fill the space, with its own ideas. So just as love for God begins with listening to His Word, love for each other is going to begin with listening to each other. Number 3, good listening asks perceptive questions. This council is all over the book of Proverbs. " The fool takes no pleasure in understanding but only in exercising his own opinion," Proverbs 18: 2, " The fool gives and answer before he fully hears," Proverbs 18: 13, and of course the wise person is described as an individual who's willing to listen carefully, who's willing to draw out the deeper meaning behind any given statement. Proverbs 20: 5, “The purposes" or the motives “ of a man's heart is like deep waters but a man of understanding will draw it out." good listening asks perceptive questions. Good listening is ministry. Is there a brother or sister among us today that will join us fort lunch in just a few minutes who's hurting but smiling none the less? Is there a brother or sister here today who's going through family tragedy or disease or heartache? And yet they don't feel comfortable fully sharing with us? And so they wear a mask, they put on a smile? How do we share love with that person, who may not be comfortable sharing their truest fears with us? Dismissing them and casually talking about the weather is probably the worst thing we can do. Just listening, if they share wonderful and if not you still listen, but last and most of all fellowship here within this family of believers it is a reflection of our fellowship with God. The apostle John in 1st John says, " If we do not love our brother whom we can see, then we do not love God whom we cannot see." and as we fellowship and as we strive to listen to each other if we have an inability to listen to our brothers and sisters as their talking, that's truly how we are, then it could be a symptom of something far worse. We may have a chatty spirit that is so preoccupied with ourselves that not only are we drowning out our brothers and sisters who are trying to talk to us, but our chatty spirit could also be drowning out Christ who's trying to speak to us. As we go downstairs here in just a few moments, I want it to be a time of joy, I want it to be a time of fellowship, I want us above all thing to remember that as a church entering in to the Christmas holidays, that we hold together a common life, the life of Christ who binds us together as one body and the good news is we don't all half to cram into a bathroom with one ticket, with that let's pray and thank The Lord for what He's done. "Father we thank-you for sending Your Son to die on the cross in order to forgive us of our sins, in order to redeem us and adopt us into your family, in order to make us sons and daughters of the most high and we recognize God that as a part of Your family we're family with each other that means friendship but it also means so much more, it means fellowship, the deepest possible friendship. God I pray that you would make us friends, I pray Lord that you would fill us with laughter, I pray Lord that You would help us to be there, to listen to each other and to find joy in each other. Father we have declared the gospel to the world because they need it but I pray Oh Lord that You would work in our hearts to drive out of us this legalistic sense of duty and obligation that we would share the gospel not from a heart of needing to check it off of our to do list but from the possibility oh Lord that we would find friends in the harvest, friends that we love who love us friends that would make us happy. God we pray that You, that You would be exalted here at First Baptist Church, we pray these things in Christ name~ Amen.